Langkawi, on Northwestern shore of Malaysia is a archipelago of Langkawi Islands. Beautifully unspoilt, Langkawi's rugged beauty and local legends offer an irresistible combination of cultural and natural attractions. It's an ideal place to discover the great outdoors. Play golf, go snorkeling visit the marine park, charter a boat or take a cable car to the top of the mountain. 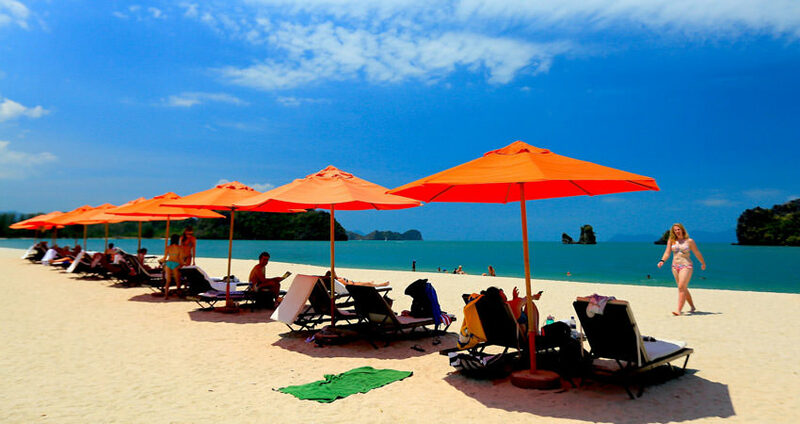 Rejuvenate yourself as you lounge at one of the beaches in Langkawi. We take you to this beautiful land at a never before price, and for an experience of a lifetime. Scenic views, photo stops, fabulous shopping options and more - these are just a few things that Langkawi has to offer to its visitors. Once you arrive in Langkawi, please head towards the immigration counter, clear your immigration and get your luggage from the luggage belt.\After clearing your immigration and customs, you will find our holiday desk representative outside in the waiting area. Please show your voucher to him. In exchange, he will give you a local itinerary with contact numbers and exact timings of your tour(s). He will then guide you to the transfer area where you will board the coach for your transfer to the hotel.The check in time at the hotel is 2:00 pm. However, if you reach a little early, you may have to wait to get your room. Spend the day at your own leisure. This is your time to explore the surroundings of the hotel and take a short trip to the nearby shopping areas and local markets.Enjoy a comfortable overnight stay at the hotel in Langkawi. Relish the sumptuous breakfast at the hotel. Pick-up from the hotel lobby is scheduled at 8:30 am. Proceed for a half-day tour of Langkawi Island (entrance fee excluded.) You will be picked up from your hotel at 8:30 am Please check with local representative for exact timings. Go for a sightseeing coach tour to various places offering scenic beauty. Also, visit the Tomb of Mahsuri, Batik and Art Village, Galeria Perdana, Dataran Lang or Eagle’s Square, the rubber estates, Hindu Temple and Kuah Town – places which are of extreme historical significance for Langkawi. You can relax in the evening or can explore the city for its fabulous shops.Enjoy a comfortable overnight stay at the hotel in Langkawi. Enjoy a relaxed breakfast at the hotel. Spend the day at your own leisure or opt for some optional tour. Enjoy a comfortable overnight stay at the hotel. Enjoy a sumptuous breakfast at the hotel. Spend the day at your own leisure or explore the nearby areas. After breakfast at the hotel, you will be transferred to the airport for your flight back home or your onward journey. 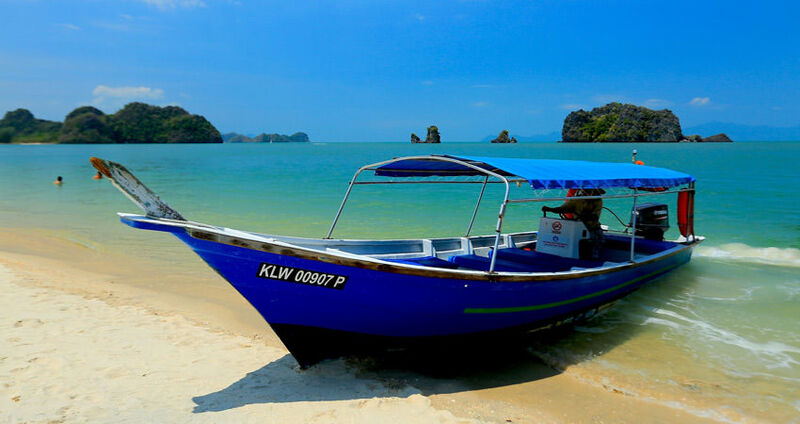 If you are not able to make up your mind from any of the tour itinerary or hotels listed above in 4 Nights Amazing Langkawi Honeymoon Package, then we can also make changes and provide a customized, tailor-made romantic honeymoon vacations, especially for you. We can modify this package as per your budget, duration as well as the tourist places you’d like to visit or whether airfare should be included or not. This customization helps you make the best out of your honeymoon package with your loved one and keep the candle of romance burning. I am very interested in this package. i was looking for a honeymoon package next year in Langkawi. hope it is available till then.